AICGS is a policy research center dedicated to better understanding the challenges and choices facing Germany and the United States in a broader global arena. Since 1983, the American Institute for Contemporary German Studies (AICGS) has focused exclusively on the most pressing issues at stake for Germany and the United States. An independent, nonpartisan think tank with in-depth policy expertise and understanding of both countries, AICGS collaborates with public sector leaders, policymakers, corporate leaders, and other research centers to deliver in-depth analysis and actionable intelligence on both sides of the Atlantic. Policymakers, business leaders, and the interested public draw on these insights to anticipate trends, reduce risk, and positively influence policy choices. AICGS provides a comprehensive program of public forums, policy studies, research, and fellowships designed to enrich the political, corporate, and scholarly constituencies it serves. AICGS has always had its finger on the pulse as a renowned forum for an open and indeed critical, but always constructive and thus productive, exchange of views. That makes it a cornerstone of the wide bridge between our countries. I am very grateful for this. Understanding the different factors that shape important foreign and domestic policy debates in the United States, Germany, and Europe as they pertain to German-American relations and the German role in the international arena. Focusing on the requirements for a high-standard, open global economy with the right division of labor between domestic and international economic policies to remain a driver of prosperity for the United States, Germany, and the European Union. Examining the cultural beliefs and values, evolving interpretations of historical experiences, and shifting conceptions of national identity that all shape perspectives and policy responses in the German-American dialogue. AICGS President Jeff Rathke talks to Euronews about the new challenges that NATO is facing, 70 years after it has emerged from the rubble of the second World War. AICGS is the preeminent thought leader on the critical policy issues affecting the United States, Germany and the rest of the world. It has been such a privilege to be part of an organization that, especially in today’s uncertain political climate, remains to be a neutral voice for in depth analysis and actionable intelligence that leads to significant policy impact on both sides of the Atlantic. 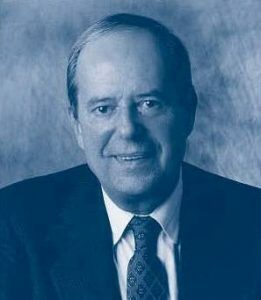 AICGS was founded in 1983 with the idea of establishing an institute at Johns Hopkins University that would help American policymakers, corporate executives, and the media better understand both the Federal Republic of Germany and the German Democratic Republic, as well as their pivotal role in the transatlantic alliance. It was the only think tank to do so. The Institute’s two founders—Steven Muller, then President of Johns Hopkins, and Robert Gerald Livingston—were determined that the Institute would be forward looking in its research and programming. The new organization would seek to explain postwar contemporary Germany—a democratic state with a market economy, a founding and influential member of the European Community, a pivotal ally in NATO, and an important partner for the United States. The Institute’s programs would examine the changing dynamics of German economics, politics, and society. In looking at both Germanys, in a certain sense, AICGS anticipated unification of the two German states. The fall of the Berlin Wall on November 9, 1989, signaled the end of the Cold War and opened up the possibility for German unification, which occurred formally on October 3, 1990. The Institute’s programmatic focus now embraced a broader agenda that increasingly considered the German-American partnership in the context of transatlantic and global affairs. It was also during this period that the Institute’s core research structure fully developed into the current tri-part model of Foreign & Domestic Policy; Geoeconomics; and Society, Culture & Politics. AICGS is proud to celebrate Dr. Muller’s foreword-looking, innovative legacy with the Muller New Initiatives Fund. AICGS is supported by generous contributions from individuals and corporations in the United States, Germany, and throughout the world. It also regularly receives grants from private foundations and governments to conduct its research agenda. AICGS is a nonpartisan, non-profit organization with a 501(c)(3) charitable status.